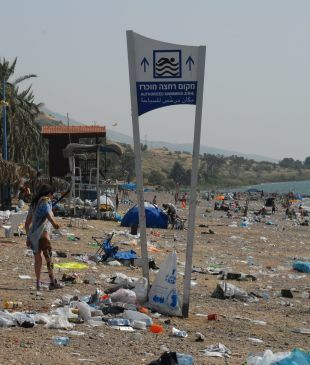 From Tel Aviv to the Sea of Galilee - why can't we keep Israel clean? The banks of the Shikma stream in the northwestern Negev is particularly beautiful in the short section that crosses the dunes. On the bank of the stream is a wall of golden wreath wattle, now blooming in intense yellow. 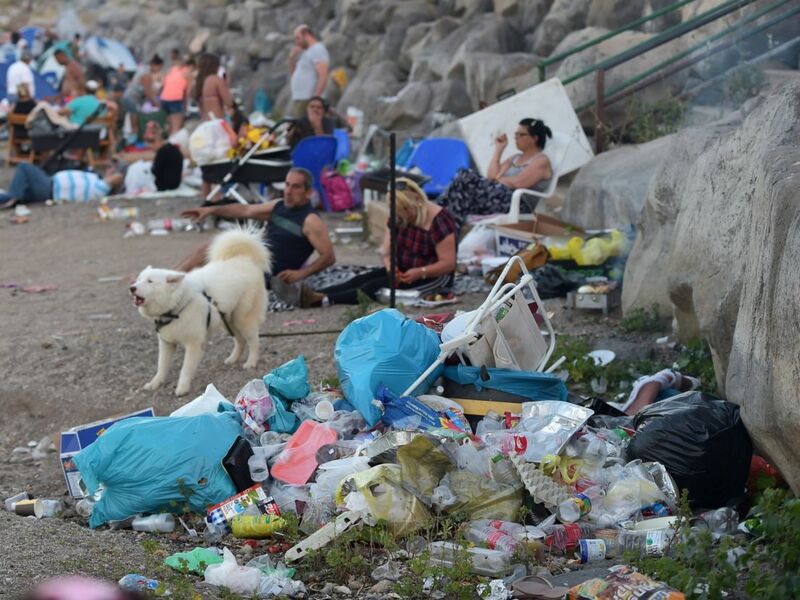 But the beauty has been destroyed by the terrible mess on the bank, which was strewn with plastic bottles, thousands of polythene plastic bags, snack wrappers, papers, and scraps of food. Apparently hikers who had come to spend a day in the countryside left a horror in their wake, and there is no construction waste or industry here. 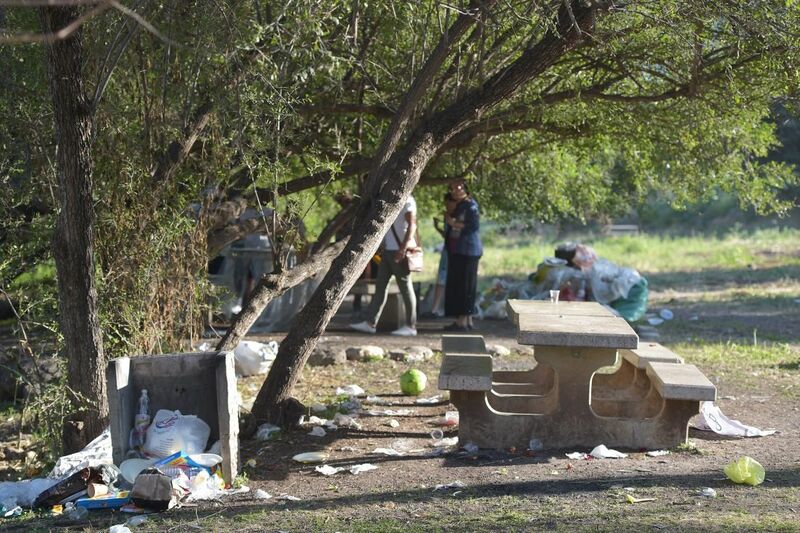 After collecting and removing several bags of garbage himself, he tried to interest the Migdal local council and workers of the Kinneret Drainage Authority in the condition of the spring. Each of these agencies said the other was responsible, then absolved themselves by saying there is supposed to be rehabilitation work done at the site. Meanwhile, the spring is choking from the filth. One can try to grasp the magnitude of the problem with the help of some data. 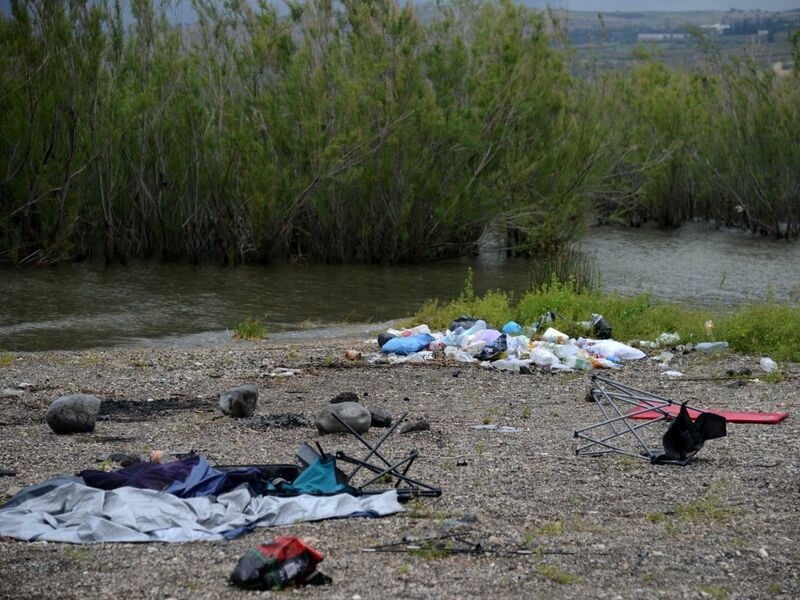 During Passover 2015, 400 tons of garbage was collected around Lake Kinneret alone. According to the Environmental Protection Ministry’s Clean Coast Index, in 2015 about two-thirds of the beaches in Israel were ranked between moderately and very dirty. 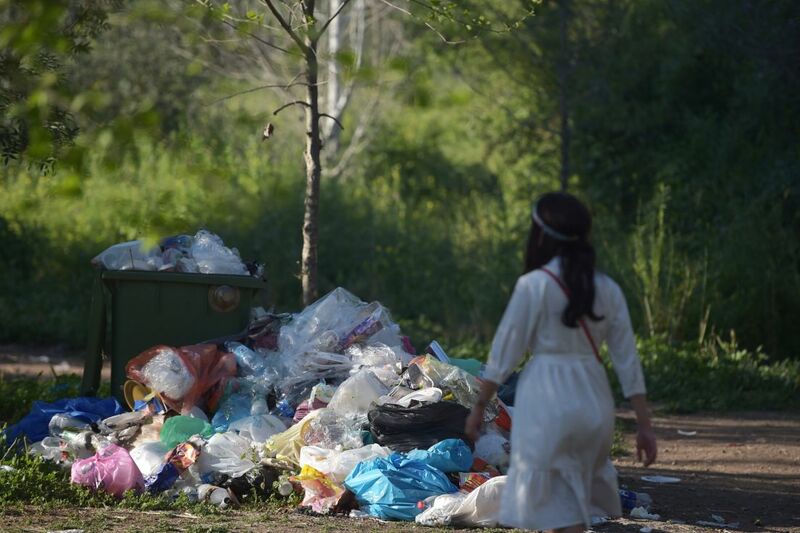 In a cleanup operation initiated by the Jewish National Fund together with the international organization Clean Up The World, 100,000 volunteers (mostly students and soldiers) collected more than 800 tons of garbage in one day. Not pretty. Litter on the streets of Tel Aviv. No, there was no strike that day. Some 1.5 million visitors went to the country’s nature reserves and national parks during Passover, a 25 percent increase over last year, indicative of the tremendous pressure on these sites. 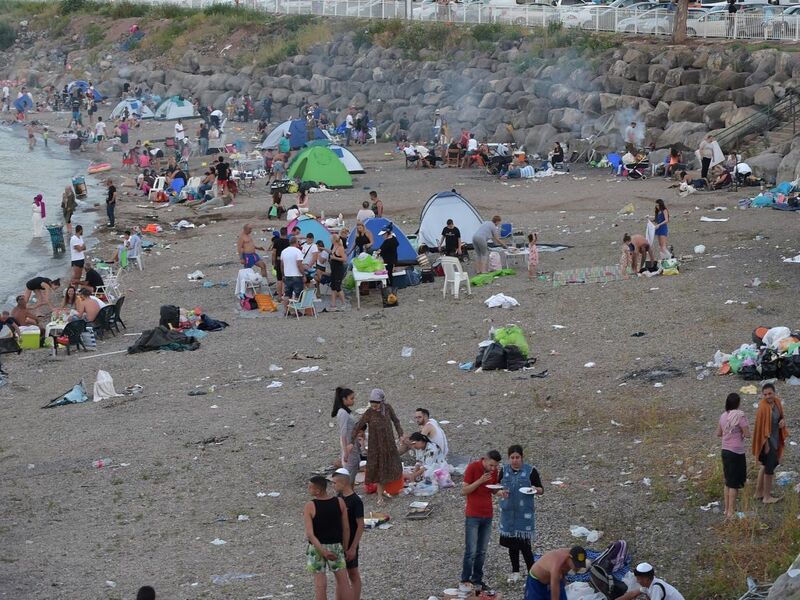 Along Lake Kinneret, whose sites got lots of negative publicity, there were “quiet beaches” introduced this year at which the loudness of the music was restricted and preliminary reports indicate that the cleanliness level on these beaches improved. However, on Betzet beach in the western Galilee just this week, two rare sea turtles died as a result of the pollution. Hikers who found their carcasses poured glowing paint on them. To counter the depression, it is worth talking to Ron Milo, a professor of plant and environmental sciences at the Weizmann Institute, and chairman of the board of the Israel Young Academy. Milo is a very busy person whose hobby is to clean nature paths. Together with colleagues at Weizmann he set up Bishvileinu (which can mean either “for us” or “our paths” in Hebrew). It’s a website, app and social network that brings together people who prefer their nature clean. They go out each week with big garbage bags and collect garbage along the paths, without complaining or grumbling – or expecting anyone else to help. On their website there’s a map of 33 areas that have already been adopted by volunteers. There are 366 “occasional cleanings” documented. Each entry indicates how many bags of garbage were collected. Why is Israel so dirty? According to Milo it’s a complex problem and there are no “bad” communities as some people like to argue. “You can always look for whom to blame, but let it go. Just come and clean up,” he says. Milo then lists several educational and other initiatives that are worth emulating, like the activities of the Shani group (a Hebrew acronym for Keeping Israel Clean) that was founded by Tomer Eshel, various cleaning campaigns, WhatsApp groups and a new initiative called Mahapach (the word means “reversal,” with the last syllable meaning “trash can”) that organizes people who want to help clean up. Is the situation getting worse? Milo says two things are happening at the same time: Awareness is higher, but Israel’s population is growing, with more people seeking nature spots and bringing with them the country’s intensifying consumer culture. 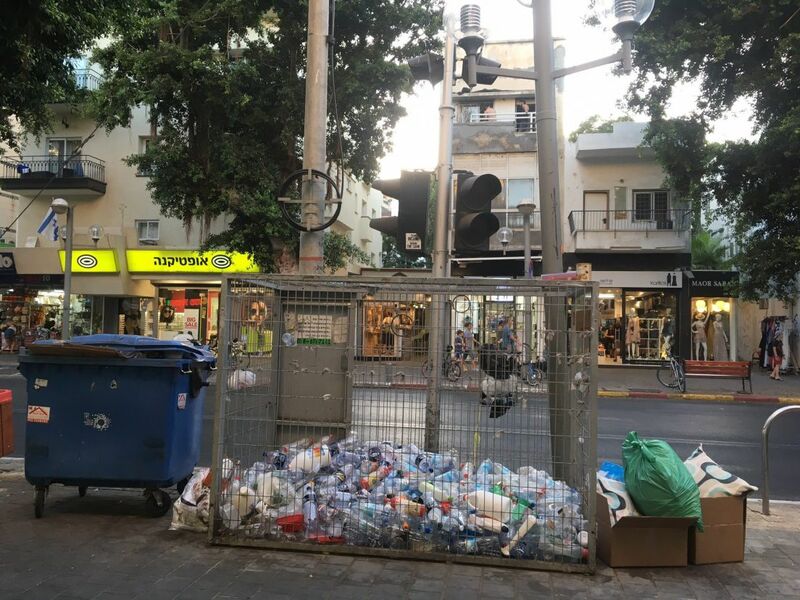 In an impressive article published in 2016 in the Hebrew journal Ecology and Environment, Dr. Maya Negev of the University of Haifa’s School of Public Health described the results of a study she’d conducted on the issue of litter in public places. 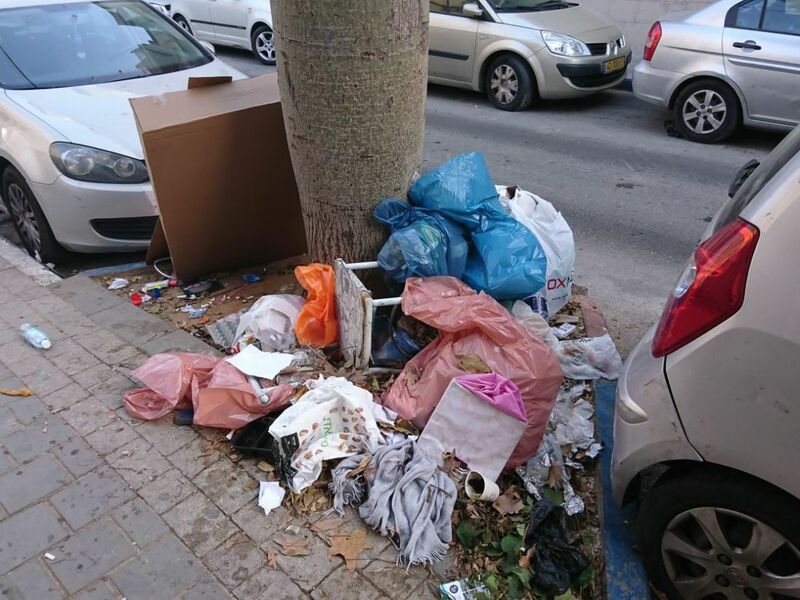 According to Negev, the problem of littering has been shoved to the margins and Israeli public areas – both in nature and in populated regions – remain dirty. Negev’s research points to a variety of problems, including lack of policy on cleaning, low environmental priority; a perception of cleanliness as something outdated and related solely to aesthetics; a lack of organizational and sectoral cooperation; poor enforcement, a lack of available financial resources and the absence of accurate knowledge of the scope of the phenomenon. Negev cites interesting solutions implemented by other countries that succeeded in improving the cleanliness in public spaces in a measurable manner. The Australian example is particularly encouraging; there they reduced the amount of garbage and waste by 40 percent. Eyal Cohen, who manages Mount Carmel National Park for the Nature and Parks Authority, is careful in choosing his words, trying not to point to a specific sector of the population. “There is an awareness of the need for cleanliness among some of the public” he says. The solution, in his opinion, lies in changing the approach taken by park personnel over the last two years. No more small bins near each picnic table, but large receptacles in central areas, partly submerged in the ground. “Park officials aren’t busy with emptying small bins. They are free to talk to visitors, giving them garbage bags and explaining where to dispose of them.” The contact with visitors creates a commitment and forges a link. Is this solution suitable for other locations? “People come to this park mainly for picnics and barbecues. That generates a lot of trash. In more remote areas it’s more costly to dispose of garbage,” says Cohen. There has been some progress in recent years, he maintains. Most visitors are sure now that if they put their garbage in nylon bags and place it by one of the receptacles, they’ve done their duty and kept the area clean. The problem is that disposal is not immediate and animals tear open the bags, scattering the garbage all over. The next stage, he says, is to convince visitors and vacationers to take the bags home with them.